In some wonderfully candid responses to Destinations’ questions, the knighted king of the skyways outlines his ambitions to greatly expand the boundaries of commercial travel and horizons of human achievement, and to save the planet — or at least its human inhabitants — all at the same time. In explaining his quest for the stars, Sir Richard also ponders on the nature of being human and our place in a vast, and largely unexplored universe. What did the whole concept of space flight and travel mean to you when you watched the moon landing as a 19-year-old? Space had felt a long way away — then suddenly it felt very close indeed. I have always tried to push boundaries in my career and life, but the moon landing really reinforced that nothing is impossible. Watching the event, I began to dream that one day I would go into space. Back in 1969, travel, let alone spaceflight, was something reserved for the lucky few — those who had the time and money. The moon landing furthered my thirst for exploration and adventure, and in turn became one of the biggest inspirations for setting up Virgin Galactic. Neil Armstrong couldn’t have been more right when he spoke those famous words: “One small step for a man, one giant leap for mankind”. The Moon landing shattered any preconceptions we had about travel and exploration, and allowed us to dream. There are those who are dreamers and often remain so, then there are those living their dreams. What is the main difference between the two? How does a dreamer start living their dream? You come off as big kid who has a lot of fun and there is a similar perception associated with a number of successful entrepreneurs. Is keeping the inner child alive a key component in the success of an entrepreneur? Children see the world through fresh eyes, and therefore have great potential and capability to learn, listen and laugh — three of the four “L’s” that make up my approach to success in life and business. Entrepreneurs who learn from their surroundings and listen to what the world is saying, and who can laugh along the way despite facing hardships will almost certainly be more successful than those who don’t or won’t. One of the most important lessons that we can learn from children, and apply to business, is to have fun. Serious fun is at the core of everything I do, and that’s something for which I will never apologise. If you don’t enjoy what you do, it will show in your product, so it’s so important to have fun! Was there a single trigger that launched Virgin Galactic or have a series of smaller steps helped you fulfil a teenage dream? The dream came about due to the moon landing, and was again sparked when I received a phone call in 1988 while appearing on the children’s show Going Live! A young boy called up and asked me: “Have you ever thought about going into space?” I told him I’d love to, and if he built a spacecraft I’d come on it with him. However it wasn’t until 11 years later, in 1999, that I registered Virgin Galactic. We had successfully shaken up the airline industry by offering an envelope-pushing product and I felt we could do the same for space travel — by offering the first ever commercial spaceline. The dream became a reality in 2004 when SpaceShipOne won the Ansari X Prize, highlighting the technology and innovation we were looking for. NASA seems to have had its day, at least for now. Does this mean commercial space travel will be primarily funded by private enterprise in the future? NASA is still very much an important part of the industry and the global community — they are a customer of ours, and will be flying research experiments to space on SpaceShipTwo soon. That said, NASA’s role in the community has evolved. What is happening now is an incredibly exciting shift, as commercial companies start to truly open up the space frontier. NASA and other government agencies have shown us that spaceflight is possible, and now we’re building on that to allow anyone who dreams of going into space the opportunity to fulfil that dream. We know that there are problems with technology and long term exposure to space appears likely to detrimentally affect human physiology. Does this mean that space travel is currently just a “joy ride” and “gimmick” mechanism or is there more? How far realistically can space tourism go? Space is a challenging environment to master, but we’ve now got 50 years worth of evidence that it can be done. And, the unique challenges of spaceflight teach us an incredible amount about physiology, in a way that benefits life here on Earth. The space industry is not only allowing astronauts to fly more frequently and do bolder things, it is also helping us gather some very useful data that is teaching doctors and scientists about issues in research fields as critical as aging and immune responses. Why is there still so much fantasy attached to the concept of outer space after everything we have so far achieved? To really understand something you need to see it with your own eyes — that’s what we’re trying to achieve with Virgin Galactic. It’s not just about astronauts with specialist training anymore; it’s about giving those people with big dreams the opportunity and ability to achieve and understand. Space presents infinite possibilities, so I don’t think the fantasy will ever fade. The motivations for space travel were originally political. Currently, they seem to have more to do with pure research and human curiosity. What do you see as the key motivations in the future? I don’t think there will be just one big motivation. Space is essentially infinite in scope; therefore there can’t possibly be just one reason for exploring it. Some of us will go because it is wondrous fun — naturally, that’s a big part of why I want to go. But others will go to conduct scientific research, or to create new types of art that aren’t possible outside of a weightless environment. There are a million reasons to go into space. In fact, the only thing we can say with real certainty is that the main reason that people go to space 100 years from now is probably something we couldn’t even dream of today! Space travel looks to be the most dangerous frontier of all for human beings. Yet we also live in a world where the spotlight is on every accident and litigation is an ever present threat. 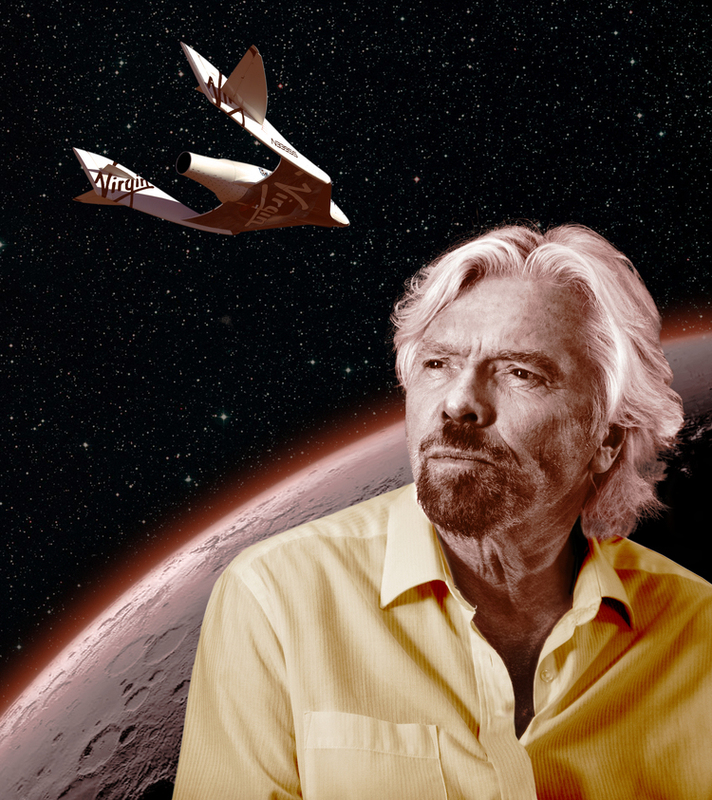 Will those who travel with Virgin Galactic have to accept the very real dangers associated with leaving the protection of the Earth’s atmosphere? Going to space is hard, and there is a lot of energy involved in getting there and back, so certainly, there will always be some risk. However, we believe we can make space safer than it has ever been before, because of how our system is designed. We have the benefit of being able to call on more than five decades of human spaceflight experience — from which we can learn from the mistakes others have made. As the old saying goes: “the safest ship is one that never leaves the harbour”; but spaceflight is absolutely worth the risk. Why are we locked into this utopian dream of always looking for paradise somewhere else? Why can’t we just accept that our planet is good enough? I don’t look at space exploration as a simply quest to find a “better” place to live. To me it’s about curiosity and discovering more about our existence. Earth is an incredible place. If we treat it in the way it should be treated, through sustainable initiatives and conservation, there is no reason it cannot remain a wonderful place. Having said that, Professor Stephen Hawking — who knows a thing or two about space — has argued that we will need to colonise other planets in the future. He believes humanity would likely not survive another 1,000 years “without escaping beyond our fragile planet.” It’s sensible and exciting to continue to explore all possibilities. Many scientists have proposed the view that if we meet other civilisations they will simply squash us like a bug. Could our curiosity eventually lead us to our own destruction? After all, curiosity killed the cat. Curiosity is one of our most healthy instincts. Without it we would never have evolved or achieved anything. Without risk we can’t advance. Curiosity may have killed the cat, but I’m sure that cat had nine very fulfilling lives of fun and fruitful adventures. Inspiring people to seek out new adventures and meaningful travel experiences.